Please call boat owner Sarah at 315-879-5940. Boat Location: Romulus, New York. Like new 2015 Monterey 196ms series for sale. Only 32 Hours on it total. Used only for two summers. 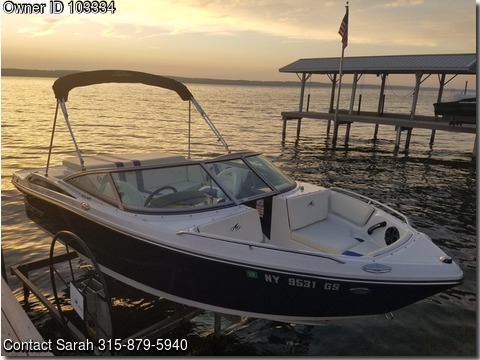 Comes with AM/FM stereo, Bluetooth, anchor, Coast Guard pack, bilge pump, Bimini top, mooring cover, depthfinder, full gauges, storage, swim platform, transferable 7 yr warranty, original owner, professionally maintained, stored indoors. Selling due to moving in the future and have no need for it. Boat comes with portable boat hoist.